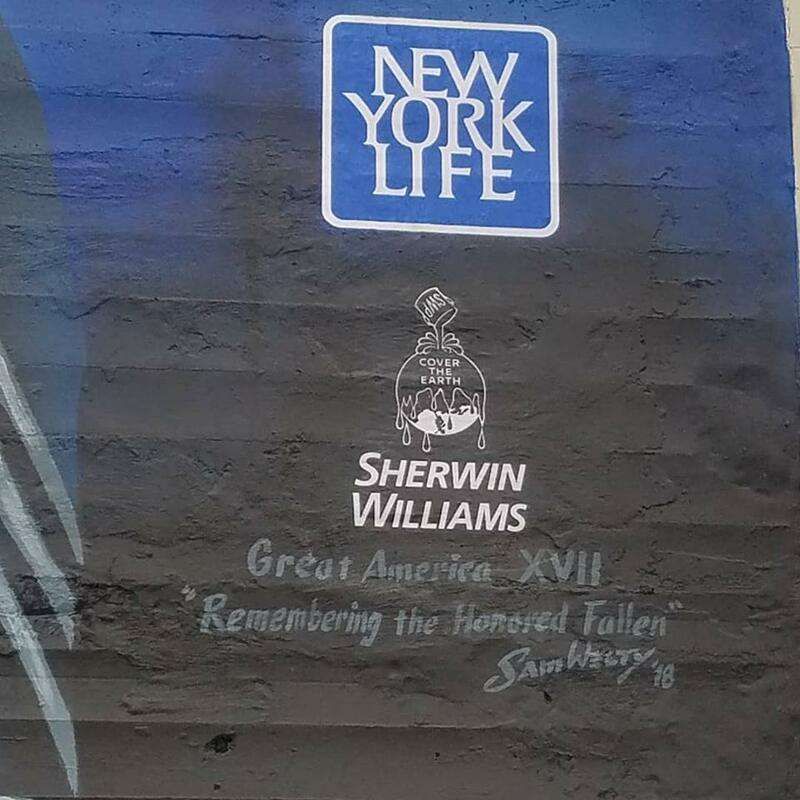 “Remembering the Honored Fallen” will be a full wall mural in Downtown Norfolk, Virginia, and will be a part of the Sam Welty’s Great American Series. This would be the 16th of his Great American Series. You can find Welty’s Great American Service series among other murals at www.samwelty.com. 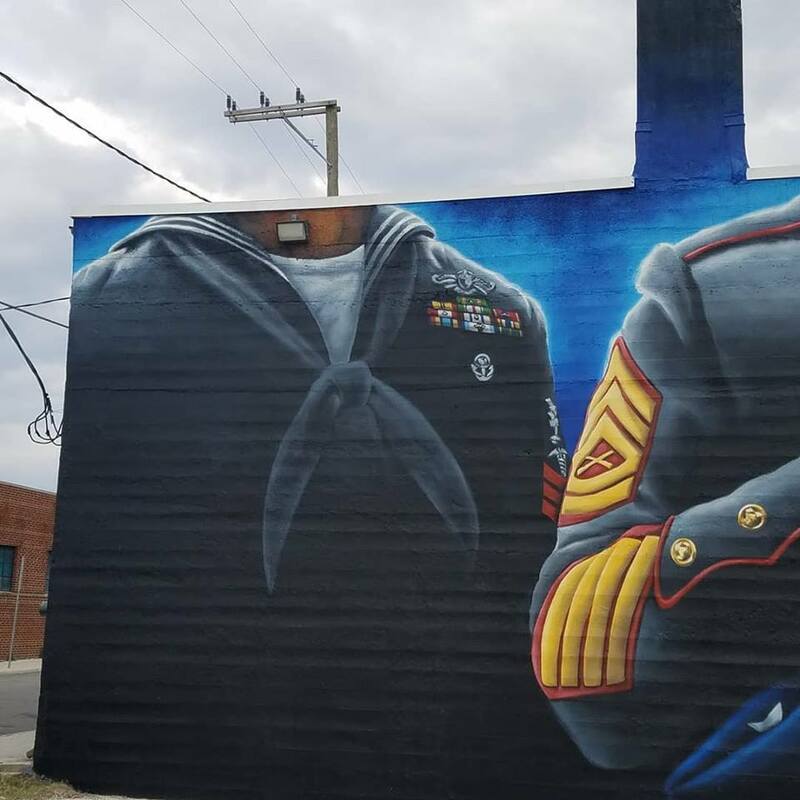 Begun on Veterans Day November 12, 2018 and completed a mere 8 days later, November 20, “Remember the Honored Fallen” by Sam Welty is now part of the Downtown Norfolk, VA NEON District landscape. Stop by to honor and remember our fallen patriots who paid the ultimate sacrifice for our freedom. Drop a selfie on your favorite social media platform and use the hashtag #norfolkmilitarymural.